Kept, 525 North Shore Road, screenprint installation at The Brand Library and Art Gallery, 25 ft. x 12 ft. 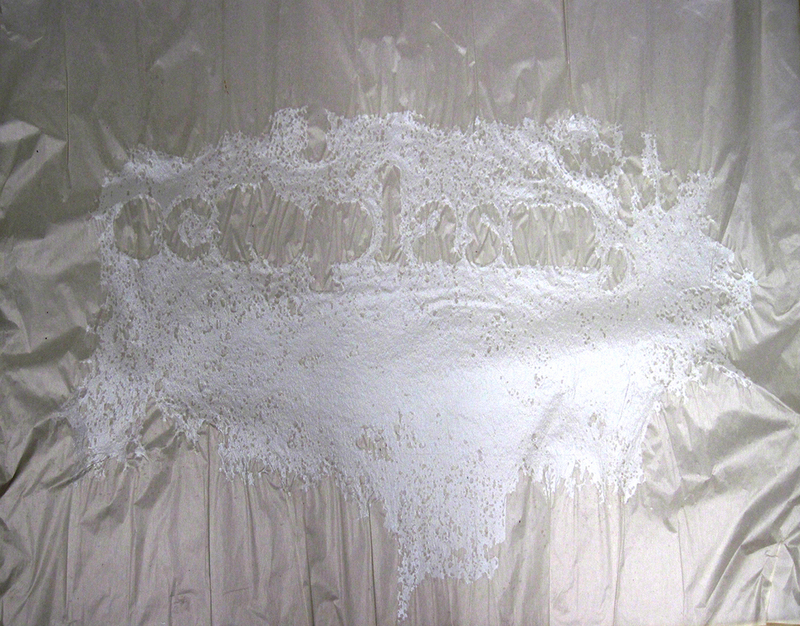 This installation was done as a response to my piece, "Borrowed: Mystery Romance and Knowledge". I had been scanning library books for that piece and I decided to source my own collection of books from childhood, filled with my own traces and stains of presences, popsicles on the hammock, or chocolate while reading in bed. 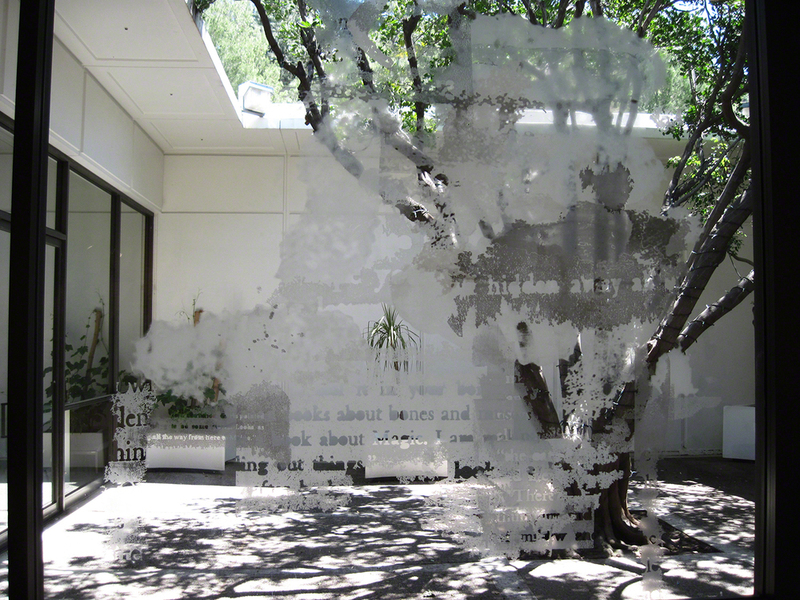 I scanned the marks in and recorded them as printed silkscreen images on the courtyard window as part of the exhibition WallPower: Limitless Prints at The Brand Library in Glendale, CA. The light changed through the day and evening making the prints more and less visible like the memories of reading the books themselves. 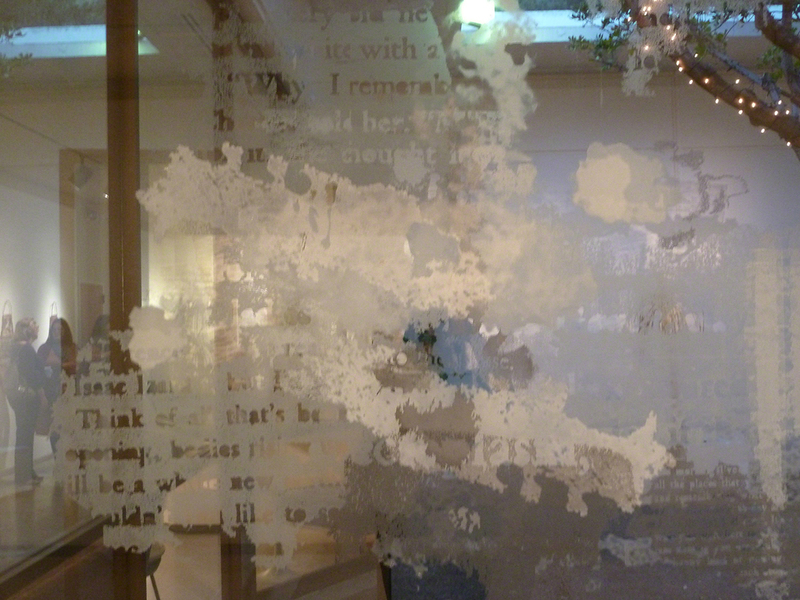 Since the piece was ephemeral, I also made prints of the images on glassine and paper as a permanent traveling version.